The “catch & release” policies of bail reform continue in New Jersey as a Newark man gets arrested for weapons and drug charges – while out on pretrial release under bail reform for weapons charges. 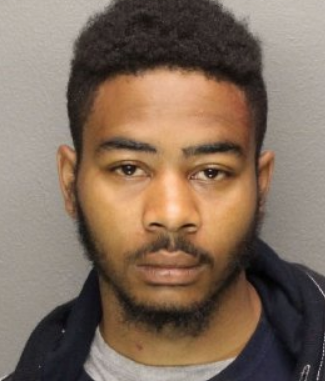 David Locke, 20, of Newark was taken into custody, after a foot chase, by officers of the Bureau of Narcotics after they had witnessed a drug buy – which then led to the discovery of a fully loaded 9mm Luger handgun in Locke’s possession. Prior to the incident, Locke had been released from custody pending sentencing on a prior weapons charge tahnks to NJ Bail Reform after the Arnold Foundation’s “Pretrial Risk Assessment” tool determined he was not a danger to the community or a flight risk and therefore should not be subject to any accountable release – just a “promise” to appear. The release is yet another example of the thousands of unaccountable and FREE TO GO pretrial releases of those criminally charged under the NJ Bail Reform Act. More “validated pretrial risk assessment” Failures. A Newark Man who was released from custody, pending sentencing on a prior weapons charge, and another suspect were arrested yesterday by Essex County sheriff’s detectives and multiple weapons and drug charges were filed against them. According to authorities, officers from the Bureau of Narcotics conducted a surveillance operation near the intersection of Brookdale Avenue and Abinger Place on Wednesday when they observed two males loitering in the area. Officials said detectives witnessed David Locke, 20, of Newark, exchange items from his sweatshirt pocket with Robert Caruso, 38 of Brick, for cash. Due to officers’ training and experience, they surmised that an illegal narcotics transaction had just taken place. Police immediately took Caruso into custody but Locke ran from the scene. After a brief foot chase, Locke was tackled to the ground but continued to resist the arrest. According to officials, during the physical struggle with Locke, detectives noticed the handle of a handgun protruding from the pocket of his sweatshirt. The a fully loaded, 9mm Luger handgun, reported stolen out of Raeford, North Carolina on November 27, 2017, was seized and rendered safe. Following a pat-down search of Locke, detectives recovered nine heroin-filled envelopes, stamped ‘Major League’ in red ink, 42 plastic jugs containing crack-cocaine, and a small bag containing marijuana, along with 59 dollars in US currency. Caruso was found to be in possession of two herion-filled envelopes. Authorities charged Locke with three counts each of possession controlled dangerous substance and possession of CDS with intent to distribute. Unaccountable pretrial release is reckless and dangerous – with zero regard for victims or criminal accountability.